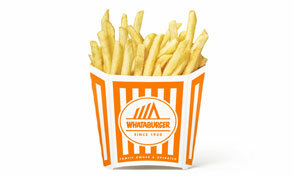 Whataburger is not affiliated with Texas ToGo. 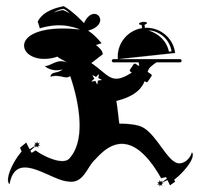 When ordering delivery, you are hiring a third party to order, pick-up, and deliver your meal.All menu items are marked up from the dine-in menu and may incur additional fees. 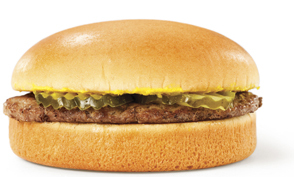 Every Whataburger comes with mustard, lettuce, tomatoes, pickles and diced onions on a toasted five-inch bun. 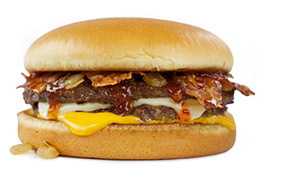 #6 Double Meat Whataburger Jr.
Two 100% pure beef patties, sizzling bacon, American and Monterey Jack cheese, onions, mustard and our mouth-watering Sweet & Spicy Pepper sauce. Two 100% pure American beef patties, grilled onions, two slices of Monterey Jack cheese and our famous Creamy Pepper Sauce. 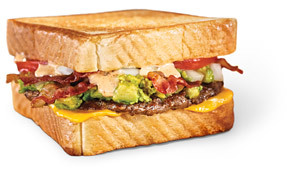 A 100% pure beef patty with crispy bacon, fresh avocado, onions, tomatoes, American cheese and creamy pepper sauce piled up on Texas Toast. 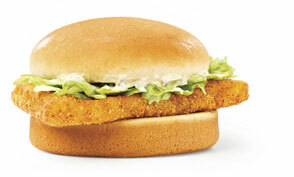 Breaded white fish filet with lettuce and tartar sauce on a small white bun. A new take on a homestyle favorite. Our new premium crispy filet, Savory WhataSauce, freshly sliced tomatoes, and green leaf lettuce served on an artisan wheat bun make this a chicken sandwich unlike any other. Grilled Chicken Sandwich is served with our premium filet, Zesty WhataSauce, freshly sliced tomatoes, and green leaf lettuce on an artisan wheat bun. 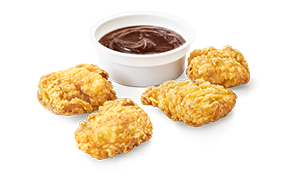 Three tender, juicy breaded 100% chicken breast strips. 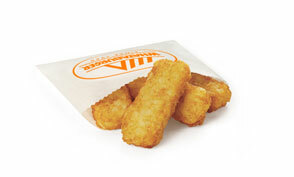 Served with a choice of dipping sauce with a side of our famous Texas toast. Lightly breaded, 100% chicken breast that’s good to the last bite. 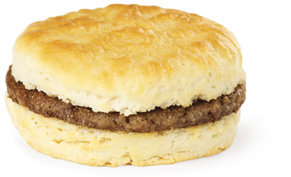 Served with a choice of dipping sauce with a side of our famous Texas toast. Our tender and juicy marinated 100% chicken breast is grilled and covered with a fire-roasted blend of poblano peppers, onions and red peppers. A slice of smooth and mild Monterey Jack cheese tops it all off. 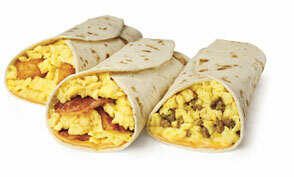 A soft flour tortilla filled with cheese, scrambled eggs and your choice of sausage, potato or bacon. Ground pork sausage patty or bacon, with fresh cracked egg and cheese, all on a toasted bun. 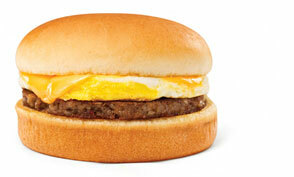 A fresh cracked egg with bacon or a ground pork sausage patty, topped with American cheese. 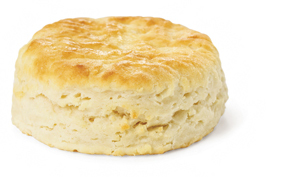 All on one of our flaky buttermilk biscuits. 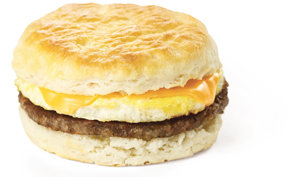 Start your day right with scrambled eggs, a biscuit and your choice of ground pork sausage patty or bacon. 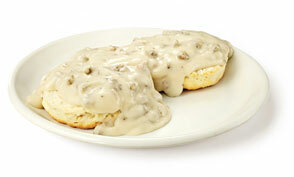 One of our fluffy, flaky buttermilk biscuits, served with a creamy sausage gravy. 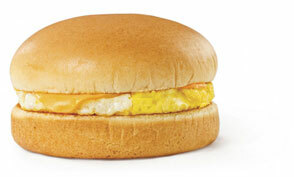 Fresh-cracked egg and melted American cheese on a toasted bun. 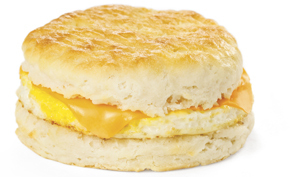 A flaky buttermilk biscuit topped with a fresh-cracked egg and melted American cheese. 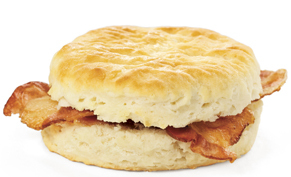 One of our flaky buttermilk biscuits makes any breakfast even better. Served with jelly and margarine. 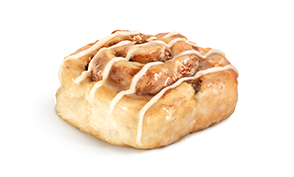 Lightly golden and crispy on the outside, soft and warm in the middle, our cinnamon roll is a sweet treat that's sure to delight. 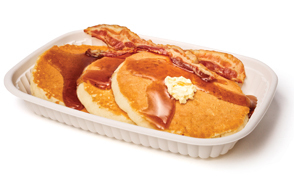 Grab one for yourself or share a tray of six - morning, noon and night. 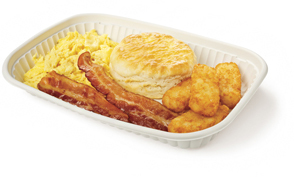 A side of our golden Hash Brown Sticks makes any breakfast a little cheerier. 100% pure American beef cooked fresh to order. Topped with mustard and pickles. Or just like you like it. Meal comes with your choice of a small French fry or apple slices, a 16 oz soft drink or milk, and a cookie or fruit chews. 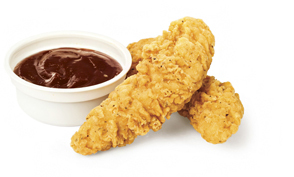 Two breaded chicken strips served with your choice of dipping sauce or cream gravy. Meal comes with your choice of a small French fry or apple slices, a 16 oz soft drink or milk, and a cookie or fruit chews. Lightly breaded, 100% chicken breast that’s good to the last bite. 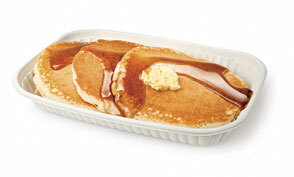 Served with your choice of dipping sauce or cream gravy. Meal comes with your choice of a small French fry or apple slices, a 16 oz soft drink or milk, and a cookie or fruit chews. 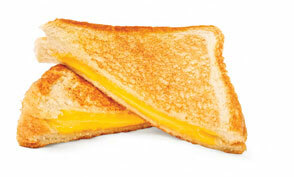 Nothing could be simpler or more delicious than two pieces of Texas toast with two slices of gooey American cheese. Meal comes with your choice of a small French fry or apple slices, a 16 oz soft drink or milk, and a cookie or fruit chews. With romaine lettuce, dried cranberries, crispy apples and shredded cheddar cheese topped with either Grilled Chicken or Whatachick’n® Filet, or no chicken - your choice. Fresh Romaine lettuce and grape tomatoes combined with matchstick carrots and mild shredded cheddar cheese. 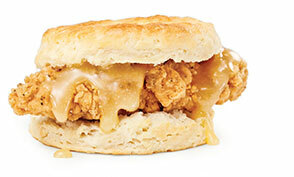 Topped with either Grilled Chicken or Whatachick’n® Filet, or no chicken - your choice.